Posted on Friday, December 14th, 2018 at 1:05 pm. Rapha’s new Commuter jacket has been getting a lot of use lately. My take? There’s nothing like the smug feeling of staying dry in a downpour to keep you warm while you’re riding in the winter. And the bright orange helps too. It also comes in yellow, bright pink, and black, and all of them feature a reflective dot print on the rear for visibility. When paired with a beanie, I’m told that the orange makes me look like I’m about to audition for the next season of Deadliest Catch, but I’m ok with that. The black certainly looks cool, but the brighter colours are more functional for city riding in poor conditions. They’re a nice halfway house for those of us who want to be seen while in traffic, but who are two vain to wear one of those horrific safety bibs. And the jacket’s cut and understated detailing is stylish enough to get away with it. 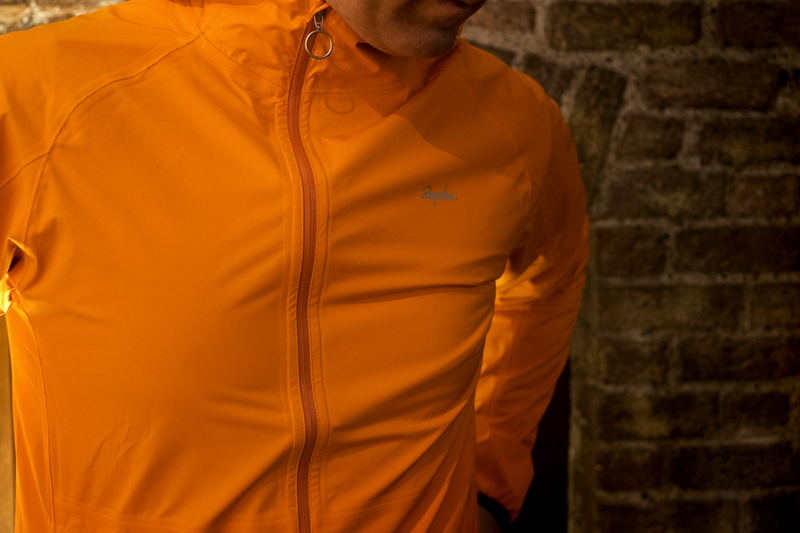 Speaking of the cut, it isn’t as extreme as a proper roadie rain cape, and for anyone commuting stretched-out in the drops, it could be slightly longer in the tail to provide more protection, but it’s definitely made with riding in mind, with longer sleeves and stretchy cuffs that provide plenty of mobility and cover while you’re on the go. The sizing is generous, so it might be worth considering going down one if you don’t plan on wearing it with layers. As is, it works well with other clothing and definitely isn’t something I’d only use with the bike. The next time I go hiking, this will be coming with me. According to Rapha, it’s made with a “hydrophobic membrane.” It’s waterproof, basically. The seams are sealed and the zip is waterproof, running off centre for a classically Rapha look. The hood is roomy and can be stored away under a nice little reflective strap, but I’m not sure how much I’d use that given the jacket’s main function is to keep me dry when it’s lashing rain. 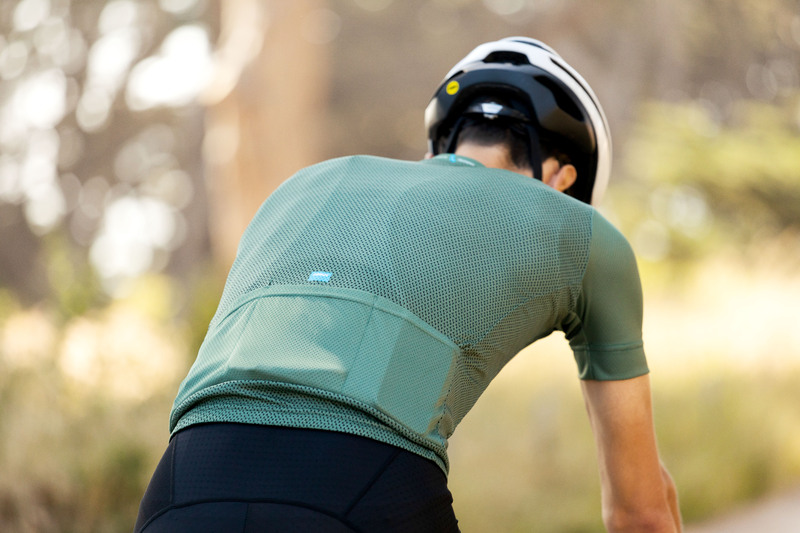 There’s also some concealed mesh on the back of the shoulders with venting that helps keep things comfortable. And the inside of the fabric is soft to the touch, so it doesn’t feel like you’re wearing a bin liner. Overall, it’s about as comfortable as a fully waterproof jacket is going to be. At $135/€120, this just about classifies as a bargain these days. For context, for the same money you could get four pairs of “aero” socks, or a third of a pair of Assos T.campionissimo shorts. There are cheaper raincoats, obviously, but not from a brand like Rapha. Everything bike-related seems to get more expensive each year, and it’s cool to see a major brand go the other way for once. Rapha deserve credit for making a reasonably-priced product that doesn’t feel like the poor relative of the one you really wanted. Hexlox: One thru axle to rule them all? Posted on Thursday, July 19th, 2018 at 5:01 am. It’s a big claim, but German brand Hexlox are convinced that their new modular HexThru thru axle can and will fit any bike. Using a system they call Perfect Fit, it can replace any thru axle on the market. It comes in just three sizes: 12mm and 15mm for the front , 12mm for the rear. It works like this: The variable length and interchangeable thread adapts to fit any fork/hub combo, with no measurements necessary. 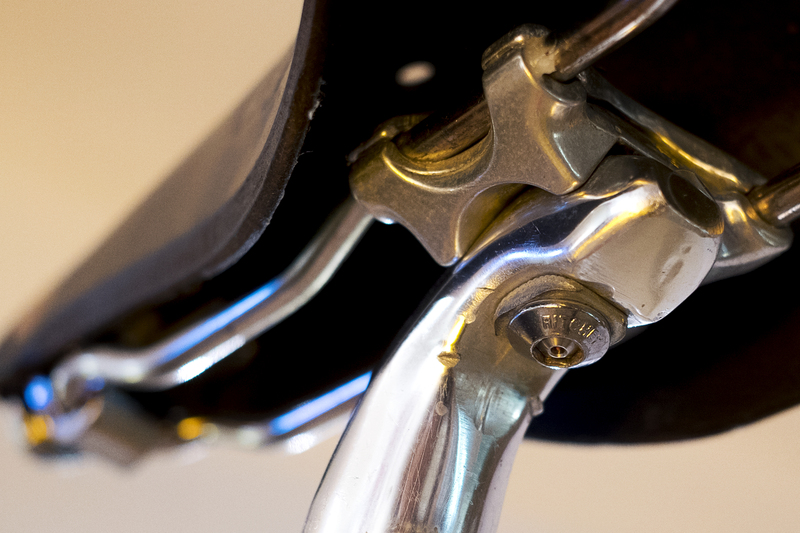 This means that stiffness and steering are optimal, because the axle always threads completely into the fork. 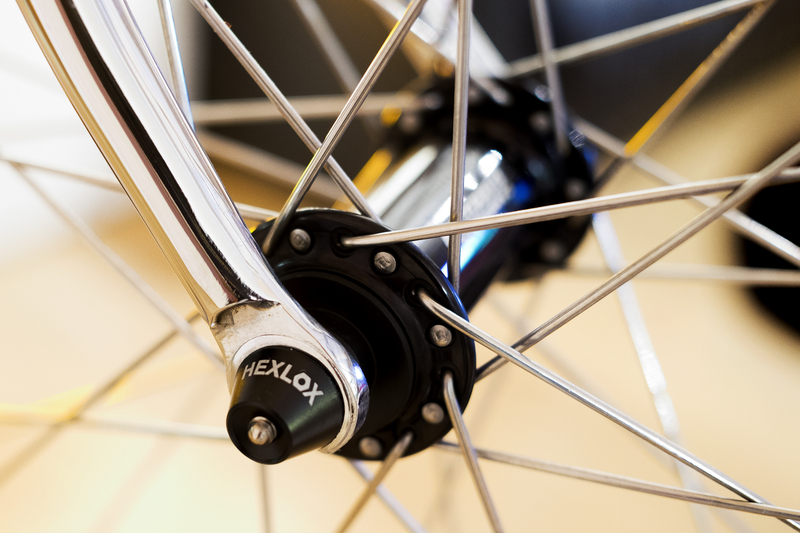 Hexlox say that their three sizes will work on anything, from road bikes to fat bikes. It will also fit into any trailer or trainer on the market. There are few standards in modern bike trends, and the tendency seems always to tilt towards more, rather than less, complication. 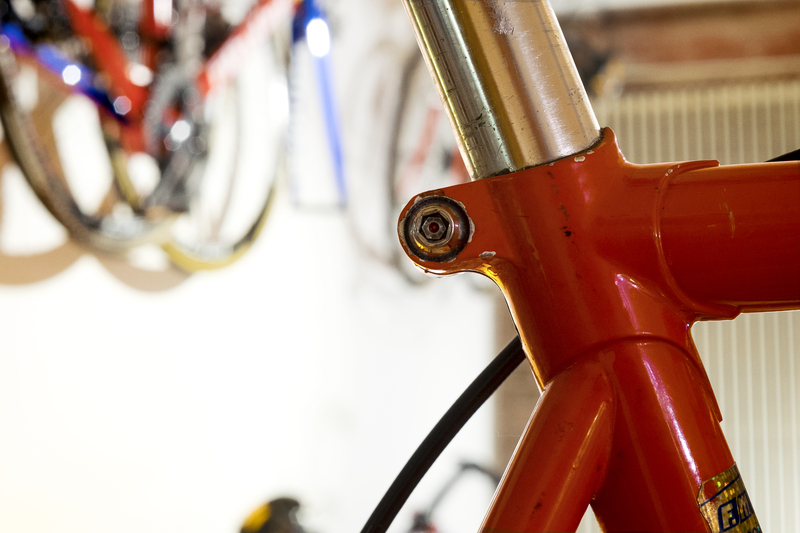 For the home mechanic – hell, for any mechanic – that causes plenty of expensive and time-consuming problems. 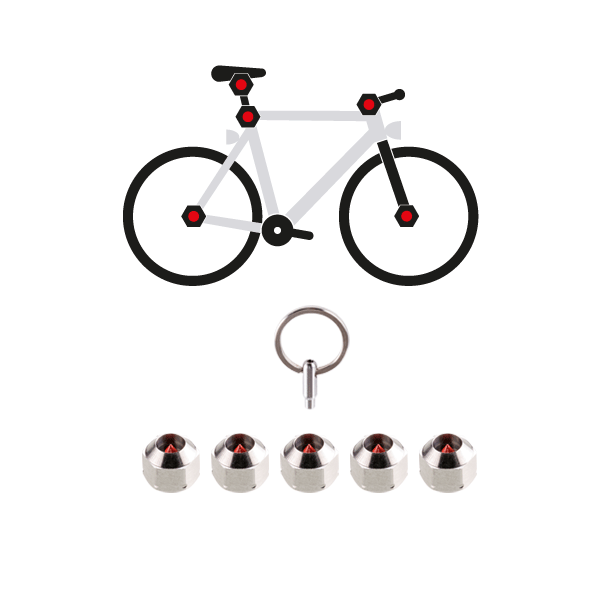 An incorrect fit can also end up wrecking your bike, or if you’re really unlucky, your face. We currently have some of their other products here for inspection and the build quality is top notch. So while the HexThru is due to drop in the next couple of months, we’d be confident in saying that these will be no different. And we will definitely pick up a set ASAP for a proper review, so watch this space. Posted on Thursday, July 12th, 2018 at 12:54 am. Julbo is a French brand that’s been in the eyewear game a long time. 130 years, to be exact. They started out when the company’s founder made a pair of specs for some Chamonix crystal hunters, people who climb Mont Blanc in search of precious stones (it really is a thing). They’ve been creating innovative glasses for mountaineers ever since. 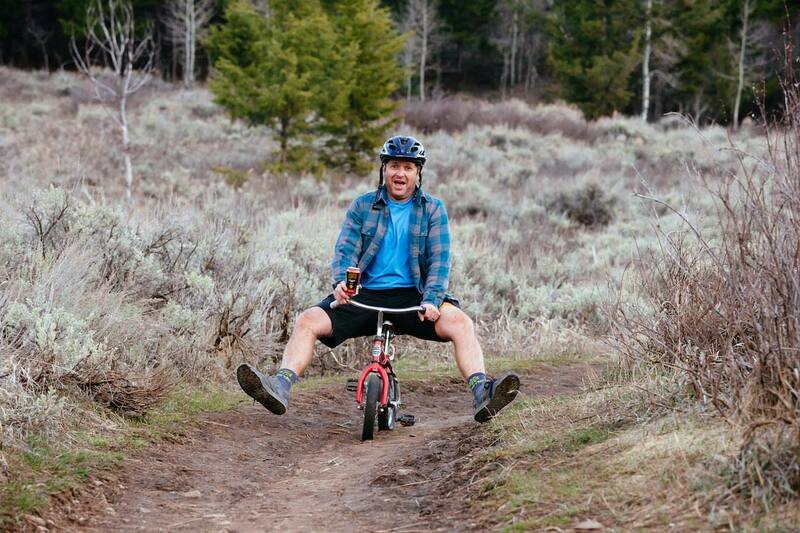 Over the years, they’ve also branched out into skiing, trail running, and cycling. Two-time USA Cyclo-cross National Champion Stephen Hyde is just one of the many high-profile athletes they sponsor. Despite all that, I’d never heard of Julbo. And then, looking for something a little different, I got a pair earlier this year, right around the time Jakob Schiller posted a review of his own pair on here. I went for the Aerospeed model. It came with the company’s own Zebra Light Reactiv lens, which is photochromic, meaning it darkens upon contact with UV rays. If you live somewhere where the sun is always shining, this won’t make much of a difference. But for anyone dealing with variable conditions, or riding in areas that go from light to shade, like a forest, it works a treat. And, sartorial considerations aside, for me, it put a stop to staring out the window trying to decide which shades to wear on any given day. They’re good when it’s hot and sunny. They’re good when it’s grey and wet. Straight out of the box, I was worried that the bridge was a little big and that it might obstruct vision. It doesn’t. Once they’re on, it’s easy to forget you’re wearing them. They’re light, and the combination of ventilation and anti-fog coating means that they don’t steam up, either. I have a stupidly large collection of glasses. And I love them. But if you’re more practical than that, the photochromic lens alleviates the need to buy different glass for different conditions. Which is great, because the last thing most people want to do after shelling out $190 for something like Rapha’s Flyweight glasses is to reach back into their wallets for another $110 to get an alternate lens. Speaking of which, I was a big fan of those Rapha shades, right up until the other day when the somewhat flimsy bracket connecting the arm to the lens snapped right off as I was putting them on. Not cool. The Aerospeeds aren’t quite as light as those Flyweights, but they’re close, and they feel a whole lot sturdier. For $190 with a lens that you won’t have to swap around depending on the conditions, these Julbo Aerospeeds are a great option for anyone who wants something a little out of the ordinary. They might not have the brand recognition of the big players in cycling, but they certainly have historical pedigree and with that photochromic lens, they’re right up to speed in terms of technology, too. Overall, a solid choice. Posted on Tuesday, July 10th, 2018 at 6:41 am. If you’ve been riding a long time, you probably have a fine collection of saddle bags. It’s just one of those things that we keep buying. Like the next one is going to be the one, the bag that fits all you want to fit, that doesn’t bounce around, or weigh a ton, or rub off your inner thighs when you’re high up on the saddle, or, worst of all, look like a Fred accessory on your hot new race machine. Aesthetically, I’m been a fan of the classic pre-glued tubular neatly wrapped and tucked under the saddle, but that means having a couple of CO2 cartridges and a multi-tool bouncing around in your rear jersey pockets, which can be annoying. A storage bottle that slots right into your second cage is great too, right until you want to go on a long ride mid-summer and find yourself scrambling around for the old saddle bag so that you can carry more water. I loved Scicon’s Roller 2.1 system where the bag clicked onto a quick release bracket … right until I hit a pothole and my pack went flying. In the middle of a fast descent in a granfondo. And so I gravitated back to the simplest of them all, a beat-up old rectangular pouch that’s secured to the seat posts with a long, wraparound piece of velcro. Hardly bling, but it worked. Then along came Silca’s Grande Americano seat roll. Same idea – something wraps around it to secure it to the saddle rails – but instead of velcro, it’s a fancy BOA system, that most of you are probably familiar with from your shoes. It’s exactly what you’d expect from Silca these days: Carefully considered, well-made, and at $58, not exactly cheap. There’s a lot of storage potential and it’s all kept tidy by three interior compartments that fold over onto one another. I had to pack and unpack a couple of times to get it to fold up the way I wanted – ie, as compact as possible – but now it’s a pleasure to use, with easy access to everything I could need on a ride. I carry some CO2, some tyre levers, a spare tube (Silca’s Latex offering is awesome if you swing that way), a mini-tool and a patch kit, but there’s room in there for more if you don’t mind it looking a bit bulkier. So is it worth it? Well, in a sport where it’s OK to spend $30 on a fancy cream to rub on your crotch, I’d have to say yes. You could pick another saddle bag out of a bargain bin somewhere, and for a fraction of the price, it will do the same job. It just won’t do it as well. And it’s not like tyres or bar-tape that you’ll be replacing once or twice a season. Treat yourself, it will last for years, and if you’re a nerd like me, every time you open it you’ll get a little kick of smug satisfaction looking at how tidy all your stuff is. Posted on Monday, July 2nd, 2018 at 1:07 am. 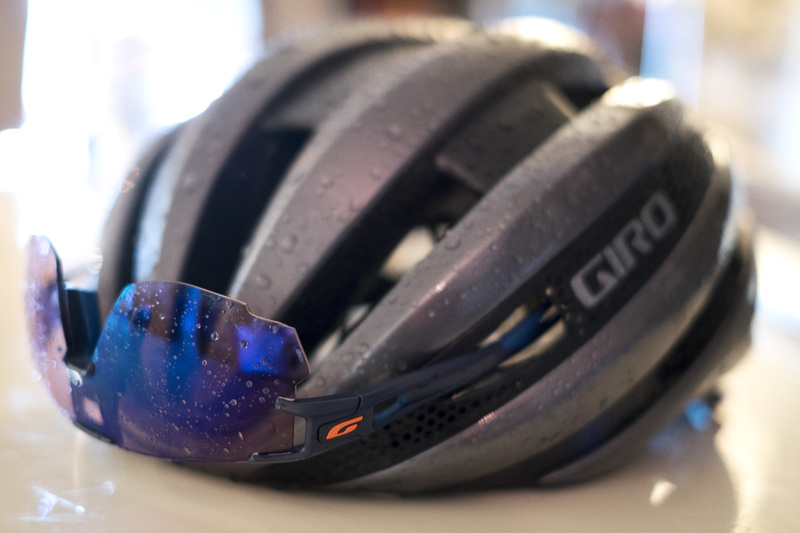 The Giro Aether MIPS may have the appearance of the much-loved Synthe MIPS, but the similarity ends there. The new flagship road racing lid is definitely not a 2.0 version of its predecessor. It’s got all the goods under the hood. 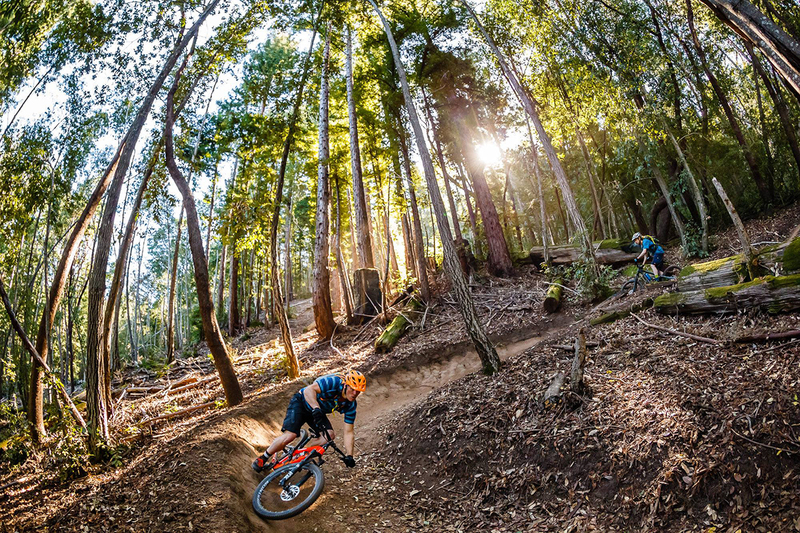 The Santa Cruz helmet firm has been one of the early adaptors of integrating MIPS (short for Multi-directional Impact Protection System) liner into its helmet lineup. Since then, having MIPS in a helmet is like having Gore-Tex in a rain jacket. Simply put, MIPS got all the buzz (for obviously good reasons of course). At the heart of the Aether MIPS is the new version of MIPS called MIPS Spherical. First used in Giro’s Avance ski helmet, the new design ditches the plastic slip-plane liner in favor of a two part progressively-layered Nanobead EPS foam liner where the inner foam behaves like the old plastic liner that rotates in the event of a crash. It’s very much like a helmet on top of a helmet. Not only does the new integration free up some of the precious headroom but it also eliminates the chance of rubbing one’s melon against a hard piece of plastic due to worn pads. MIPS Spherical seamlessly integrates the core function of MIPS to reduce rotational energy. Without the plastic “net,” the Aether is said to be significantly more comfortable and better ventilated. 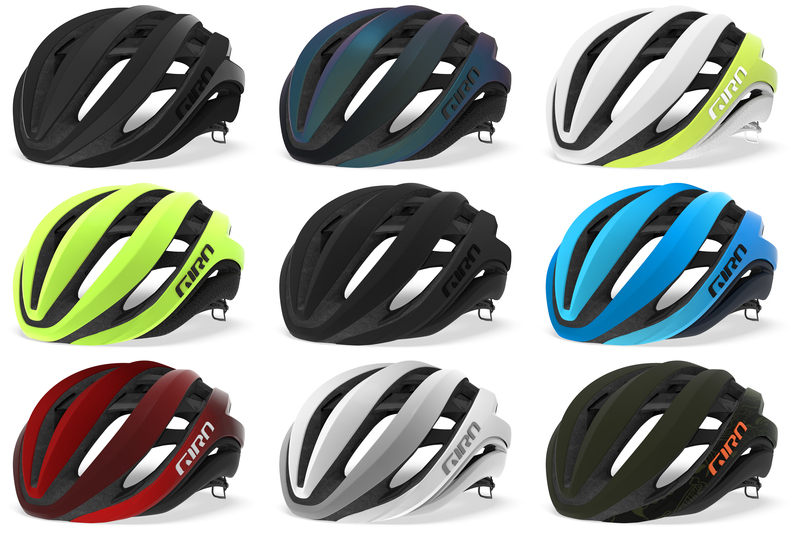 With that, Giro went further in refining the helmet with a slew of other innovations. The outer EPS liner is covered by a six-piece polycarbonate shell between the deep venting channels where it forces air over the scalp for the maximum cooling effect. 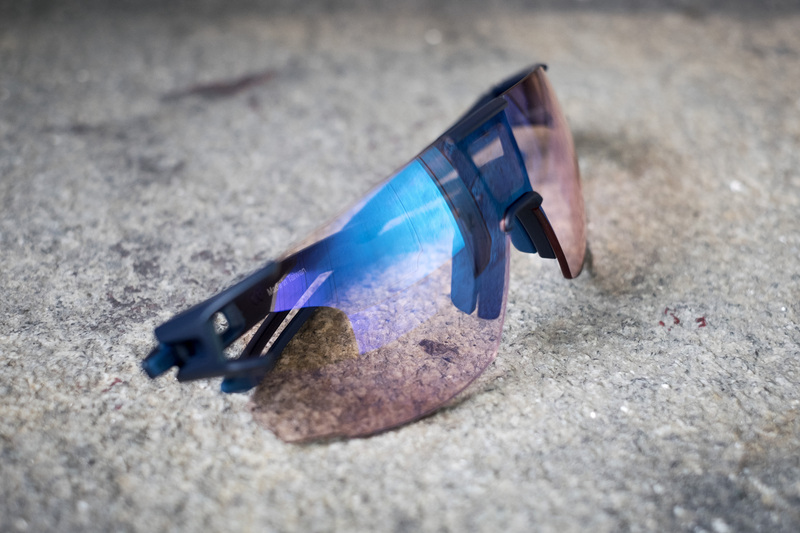 For better safety, the Aether is supplemented with a translucent shatter-resistant arch across the top called AURA, short for Aerodynamic Ultimate Reinforcing Arch. Speaking of aerodynamics, Giro’s own wind tunnel testing shows it’s a decent performer in that regard as well. No helmet is complete without a retention system in the rear. Giro paired the Aether with a Roc Loc 5+ Air featuring independent left/right cradle adjustment, three step height adjustment and of course, the iconic fit dial adjuster. But wait, there’s more. The Aether, like many of the top of the line helmets these days, has an integrated docking port for sunglasses and anti-microbial padding throughout. As a final touch, the Giro logos on both sides are laser-cut and pressed in to create a 3D look. A medium CE certified Aether MIPS is said to be 250 grams. We will be getting a test unit so stay tuned for our in depth review soon. The Aether will be available starting August 1st for $325/€299/£260/AU$475 in 3 sizes, with 9 different colors including three limited editions.